It’s taken a while, but the time is now right to begin announcing the Coffeeneuring Challenge Results for 2013. Ta Dahhhhh! First up are the “I Was Going to Complete the Coffeeneuring Challenge, but…” Honorable Mention category. These nine 10 12 13 15 coffeeneurs were unable to complete the full seven trips, but each person you see below completed four or more outings. Pretty good, I’d say. Congratulations to all who earned the Honorable Mention award! I’d like to take a minute to recognize Daniel, who writes the blog Bike Rides Around the Neighborhood, and helped with the Coffeeneuring Challenge by putting together the digital Coffeeneuring Challenge maps. More about these maps in an upcoming post. Many thanks to Daniel and the Regional Office of Coffeeneuring in Massachusetts! You may be wondering what the prize is for Honorable Mention. 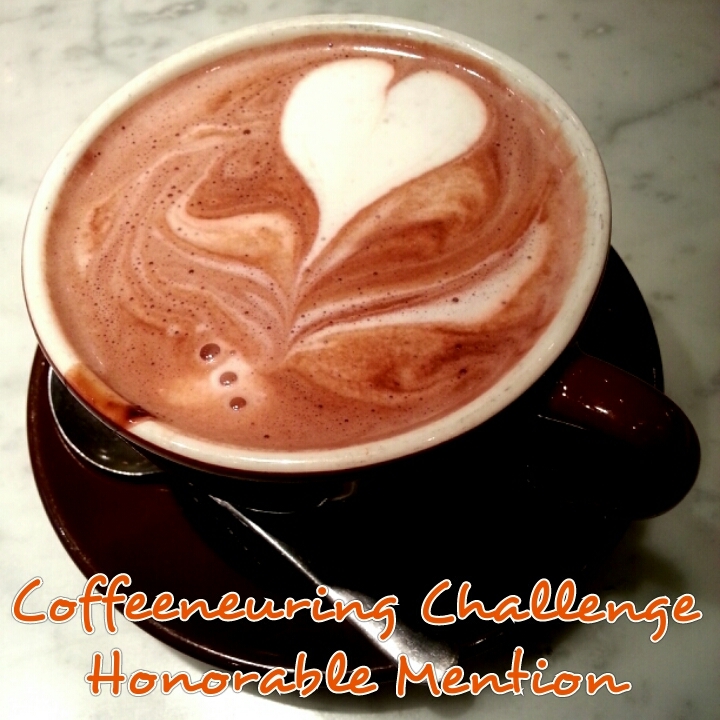 This year’s Honorable Mention prize is a coffeeneuring mystery surprise from me! It will be coming your way soon, likely toward the end of this month or beginning of the New Year. So you will know what you won when you receive it in your mailbox. Why Am I Not on This List? If you think that you should have received Honorable Mention and I somehow missed you, please send me a note via the “Contact” tab on this site. Please do the same if I misspelled or otherwise misrepresented your name. Why Are You Taking So Long to Post Results? Normally, I would not mention anything about timeliness of postings. It’s a blog, after all, and the beauty of blogging is that it does not have to adhere to a strict schedule. However, I had hoped to post results sooner. My excuses as to why this is taking longer than I hoped are that I have had more than double the participants from 2012, work has been busy, and some tendons in my right hand are giving me the business and that makes typing more difficult. More results, map talk, and coffeeneuring guest posts! Coffeeneuring Challenge Results Part 2: Finishers! NO pressure, for g_d’s sake, you’re the president of the club. Take as much time as you need, and heal that wrist too. Thanks for all that you do for this wonderful contest. Can’t wait for next year. MG, happy holidays and NY to all and yours! D’oh! I completed 5, but I didn’t even get my act together enough to send them in to you — I haven’t even written two of them up yet. Is there a category below honourable mention? Dishonourable mention? Raised eyebrow? Stink eye? Okay, I gave the dishonourable mention a tryout, but you both looked too lonely so it’s honorable mention as the sole category for this year. It was great fun trying to finish. Having a goal to get for out when the temperature is dropping and the light is fading early is a great idea. I hope to carry it into the near year, once all this snow we are about to get melts back some. Pingback: Coffeeneuring Challenge: Put it on the Map | chasing mailboxes d.c.